Tasmania’s inland waters offer great boat fishing opportunities. Make sure you are familiar with the rules around using a boat in Tasmania. Marine and Safety Tasmania (MAST) is the regulator for boats and the rules can be found on their website mast.tas.gov.au. Accelerate gently in shallow water to avoid the underwater wash stirring up silt and mud. This sediment clouds the water, disturbs sensitive weed beds, smothers aquatic plants and degrades fish habitat. If it’s white, it’s all right but if it’s brown, slow down. use electric motors in shallow lakes and weedy margins. use 4 stroke or low emission 2 stroke motors to reduce the amount of petrochemicals released into the environment. When fishing at Little Pine and Penstock lagoons please use petrol motors only in the designated areas. This helps reduce the impact of increased angling pressure and boating in recent years. Note that it is an offence to fish from a boat within 100 m of an anglers fishing from the shore unless the boat is securely moored. Think of others when using boat ramps and parking areas. Don’t obstruct boat ramps and parking areas. 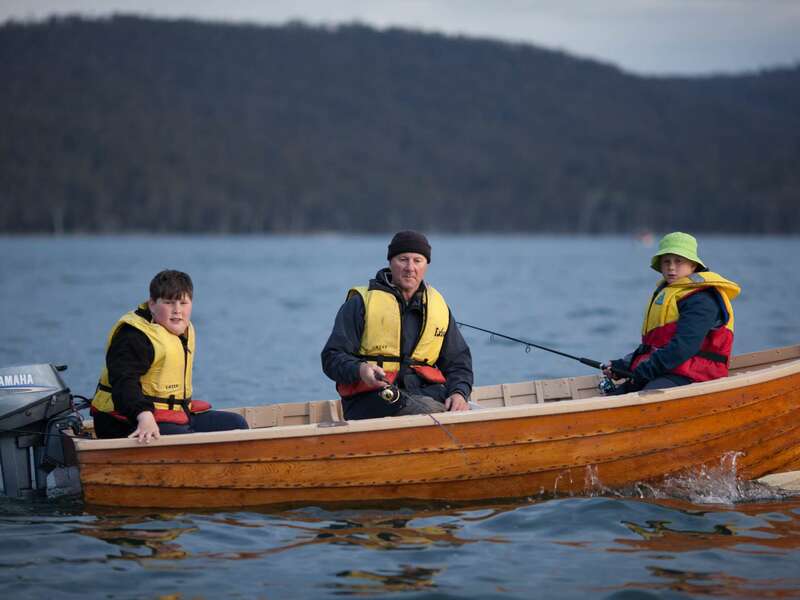 If you are on an inland water, in a National Park or the Tasmanian Wilderness World Heritage Area (TWWHA), the Parks and Wildlife Service regulate boating. Plus the MAST rules still apply. Motorised boating is restricted to lakes Pedder, Augusta, St Clair, Mackenzie, Ada, Pillans and Julian, Lake Fergus (electric motors only. ), Double Lagoon and Gordon River. Motorised boating (including electric motors) is prohibited on all other waters in the Western Lakes region, TWWHA and National Parks. You cannot fish from a boat within 100 m of an angler fishing from the shore unless the boat is securely moored. You must row a boat when fishing in lakes Lea, Bantic, Garcia, Bellinger, Ashford, Talbots Lagoon and Ada Lagoon. You cannot fish from a boat in lakes Botsford, Dudley and Carter, Howes Bay Lagoon, East Rocky and Rocky lagoons, Pet Reservoir, Guide Reservoir, and above the uppermost weir at Brumbys Creek and its tributaries. 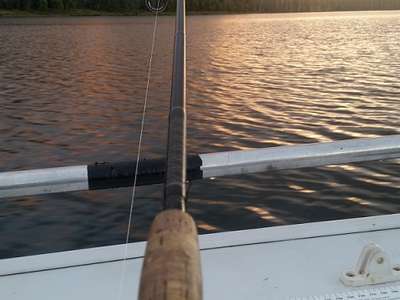 You cannot troll flies from a boat at Penstock and Little Pine lagoons. At Curries River Reservoir, only a boat rowed or powered by an electric outboard motor can be used when either fishing or travelling. A person must not use a boat to drop a lure or bait offshore and then return to shore to fish with that lure or bait. 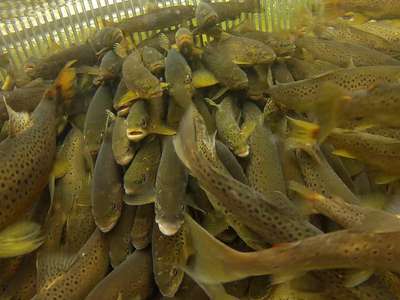 You can find the full list of rules by looking at Sections 22 and 23 of the Inland Fisheries (Recreational Fishing) Regulations 2009. There are speed limits for recreational vessels in Tasmania. Check the rules with Marine and Safety Tasmania. Generally, no boat should exceed 5 knots within 60 metres of a wharf, jetty, mooring, the shoreline or other boat, or within 120 metres of a person swimming, diving or wading in the water.